It has always been from one phone to the other for an average Nigerian mobile phone user. The Android phone usage trend started massively in Nigeria with Tecno Android Phones but recently, it seems like it's moving gradually to Infinix, with the recent Infinix zero campaign which sold so many Infinix zero Smartphones in a very large quantity. Right now, the Infinix Hot is the latest Infinix phone being discussed in Nigeria. Infinix as a phone manufacturer, is really out for good by giving active Nigerian youths exactly what they want at a very reasonable amount, no wonder their phone made it into the list of the cheapest Android phones this year. 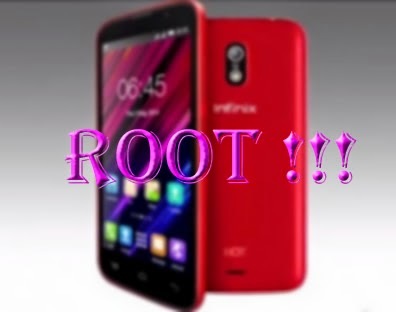 Without wasting so much of your time, I'm here today with a step by step guide, on how to easily and conveniently root your Infinix hot device using the Vroot rooting App. An App that is known to have successfully rooted most of the toughest Android smart phones in the mobile tech industry. Kindly Follow the steps below to root your Infinix Hot in just few minutes. First of all, Enable USB debugging on your Infinix hot device. You can do so by going through your phones Settings => Developer option and then tick USB Debugging. Download Vroot App to your phone from Play store or here and also download PdaNet to your PC here to get started. This will enable your PC detect and install the necessary drivers for your infinix hot. When you're done with the above downloads and the installation. Connect your phone to the PC and wait for it to install the required drivers as proposed above, then launch the Vroot App. Allow Vroot to detect your phone and proceed by tapping the root button to start rooting. Once done your phone will reboot and you can now disconnect and enjoy your rooted Infinix hot X507. Are you facing any difficulty or problem while rooting ? Let me know the type of difficulty you are facing by dropping your comments via the comment box below. Do you enjoy this article and has it proved to be useful for you ? Then kindly take your time to share it with others.